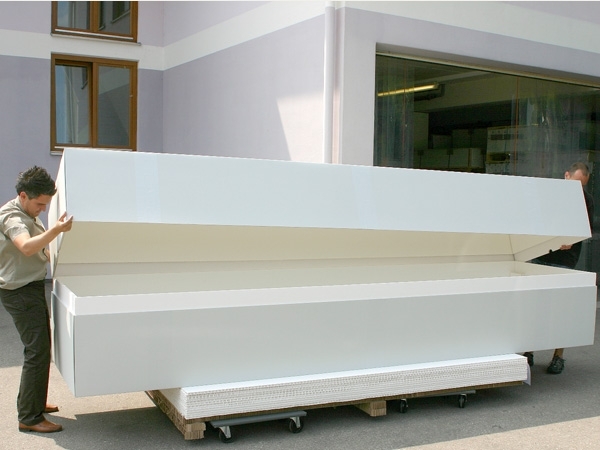 In 2002 KLUG-CONSERVATION manufactured a huge KS 16 box for the roll storage of a KLUG tube made from conservation board. The box had a square cross-section of 60 x 60 cm und a length of well over 4 metres. The storage box was made of from corrugated board and honeycomb panels. The utility of modern production machinery enabled us optimum use of the static strength of paper, board, corrugated board aswell as those of the honeycomb panel. 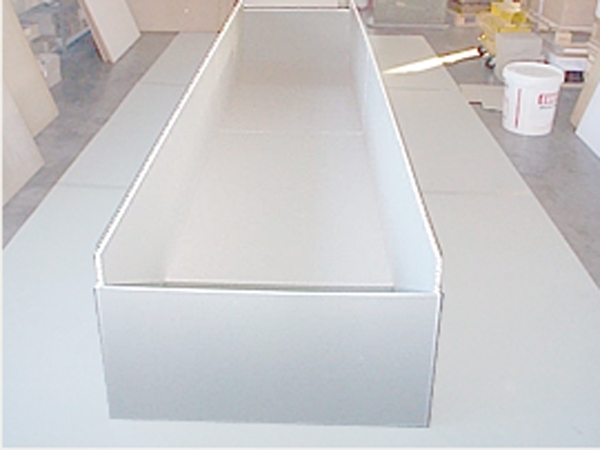 A very newly developed method, currently being registered for patency, enables us to produce over-sized boxes from two or more sheets. 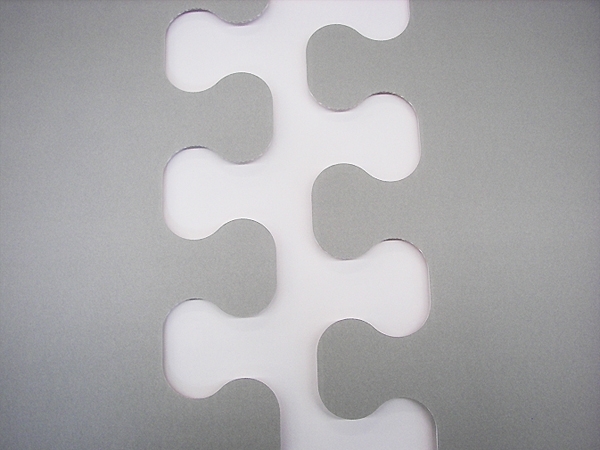 Sheet sections are precisionly cut by a cutting and grooving machine, and thereafter put together just like a jigsaw puzzle. The puzzle connection ends which have been put together, are finally covered by either: a layer of archival paper which is stuck on using gummed linen tape or using box inserts. The construction in its complete form gives extra support and adds to resiliency to withhold pressure. After drying, the assembled parts are folded together and the box is set up. For further stability the sides and base of the box are reinforced with multiple honeycomb panels (glued together). Please click here to download the digital version of this application example.